The TRILUX lighting products offer a quick refurbishment solution that delivers maximum light, comfort and flexibility. 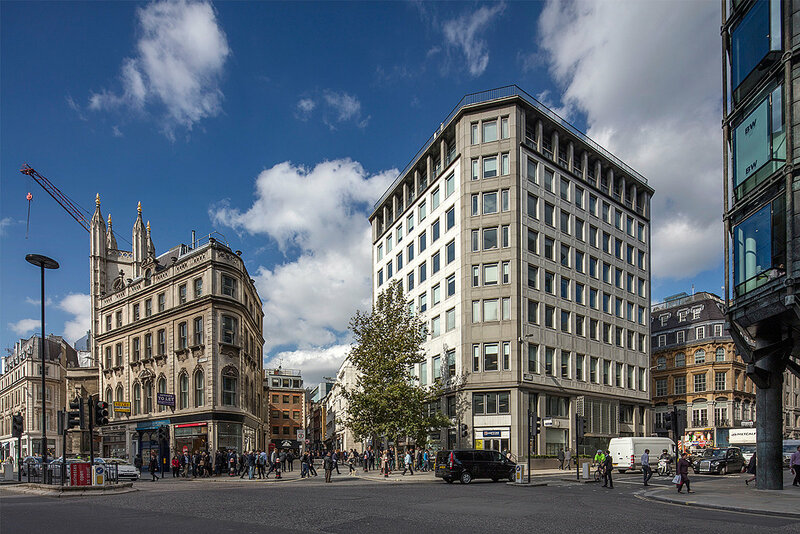 Located just off Cheapside and in the heart of London’s premier retail thoroughfare sits a harmonious combination of retail, leisure and rental offices, in the Aldermary House complex. Columbus Capital under the guidance of Architect MoreySmith recently undertook a comprehensive refurbishment of Aldermary House which included a remodelled entrance, double height reception and the replacement of services and finishes throughout the offices. The main objective for Aldermary House’s revamp, was to maximise the building’s external and internal presence. Previously it was lost in the context of its neighbours. Since the redesign the building has been given a new injection of life. The high-end refurbishment carries through from the reception to the building’s 8 floors. Each floor's layout is bespoke to the individual tenant. The result is of a first-class standard, delivering a consistent message throughout, the emphasis was on creating a statement, as well as a focussing on clever use of surfaces finishes, textures and technology. To complement the high-quality aesthetic refurbishment, the lighting was also in need of an update. Modern office environments that are used diversely require adaptable, dynamic and prestigious lighting. Employees have different lighting requirements, based on their age, tasks and individual needs, to enable them to work productively and with a high level of concentration. 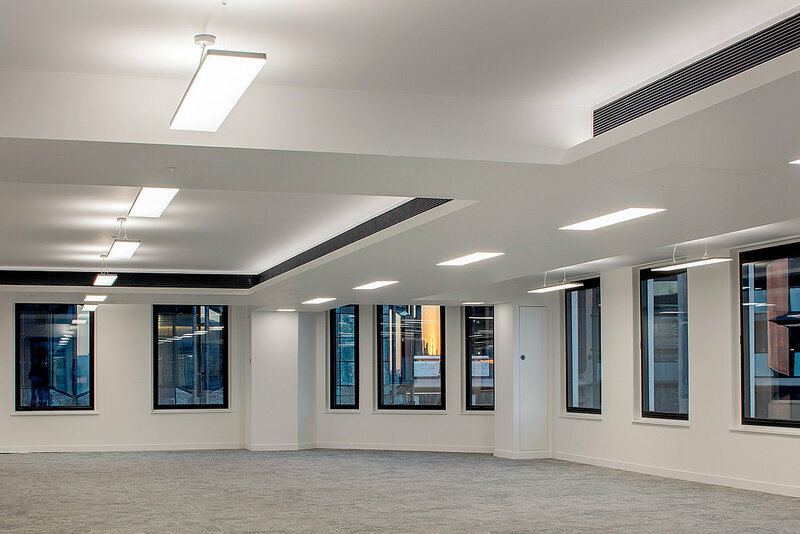 With this in mind, the lighting was not only chosen to add impact and flexibility but also to deliver optimum lighting comfort in the rental office spaces. A selection of TRILUX lighting products were chosen to fulfil this brief. Each individual in their styling, the selected products were all designed with refurbishment in mind, proving to be ideal for this project. Livena LED, Lunexo and Inperla offer a quick refurbishment solution that delivers maximum light, comfort and flexibility.